Apple is setting up to run free coding workshops at its retail stores worldwide. All 38 UK stores will be taking part in the ‘Hour of Code 2014’ initiative, which looks to impart the ‘gift of knowledge’ on Blighty’s youngsters. It’s part of Computer Science Education Week, which runs from December 8 to December 14. Apple’s own event will take place on December 11, and is open for anyone to drop in and have a gander – you’ll need to sign up online for a place in the actual workshop though. This is the second annual ‘Hour of Code’ event, with last year’s effort seeing upwards of 3 million people – and a raft of schools and businesses – taking part across the nation. Worldwide figures were even more impressive, with 15 million students participating in the Hour of Code globally. “We are proud to be part of making computer science accessible to students of all ages around the world,” said Eddy Cue, Apple’s senior VP of software and services. Select Apple stores worldwide will also be hosting prestigious coding guests, who will give talks and offer advice on how to get into programming. 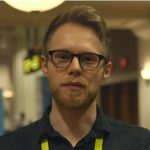 The Regent Street store in London will see Torsten Reail, CEO of NaturalMotion, wax lyrical on why he started coding, and what it’s like to develop the ‘next-generation mobile games’ his firm works on.